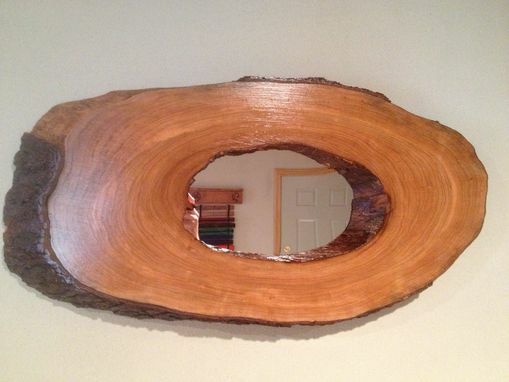 Live Edge mirrors like all custom work can vary greatly as it totally depends on the piece of wood being used. 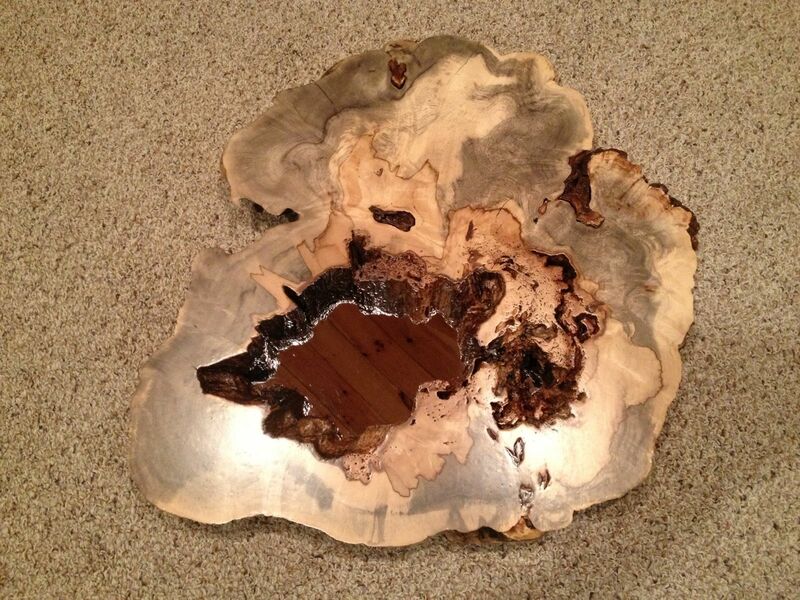 The tree must have had a hollow core to even offer this wonderful canvas to begin with. Mirror thicknesses can vary from just over 1" to 3-4" thick. 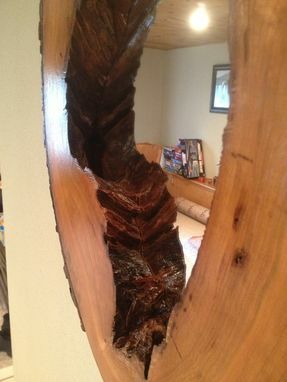 Wood species of course is endless, but you have to find the piece and this alone can sometimes take some time. 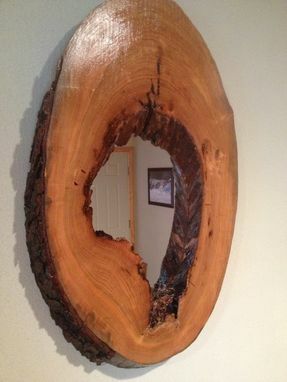 The actual mirror itself is inset into the back of the section and can either be unbreakable acrylic or actual glass. This is totally your decision to make. They can be attached 1 of 2 ways. 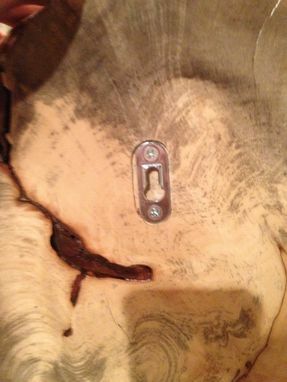 Either with a keyhole slot, which is a simple slot in the back of the wood done with a router or a sturdier metal bracket - again your choice and can vary based on the weight of the item. Of course these can be finished off any way you like and I tend to like just sealing them with either Lacquer, Acrylic or Polyurethane to reveal the natural grain. The luster can be satin, semi-gloss or glossy your choice. 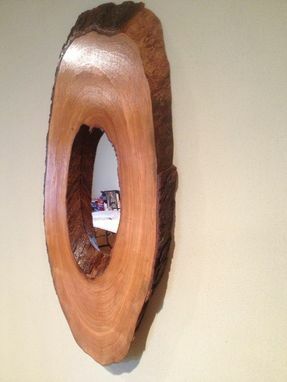 Price varies mainly based on the species of wood you choose, the size and how difficult it is to locate such a piece! It usually only takes me a few weeks after locating the section to get it ready to ship.